[View/Download PDF] or View JPG versions below. Let us help you make your next PARTY perfect! 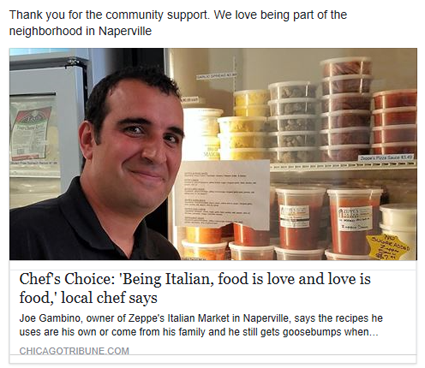 Come check out a true mom and pop Italian market -- very similar to the one from the “old neighborhood”. 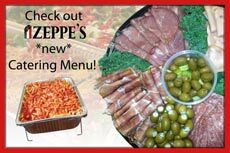 The reason I opened Zeppe’s; and the concept of Zeppe’s is based on my very own childhood of going to Italian places similar to mine. We don’t focus on fast food—we focus on quality. 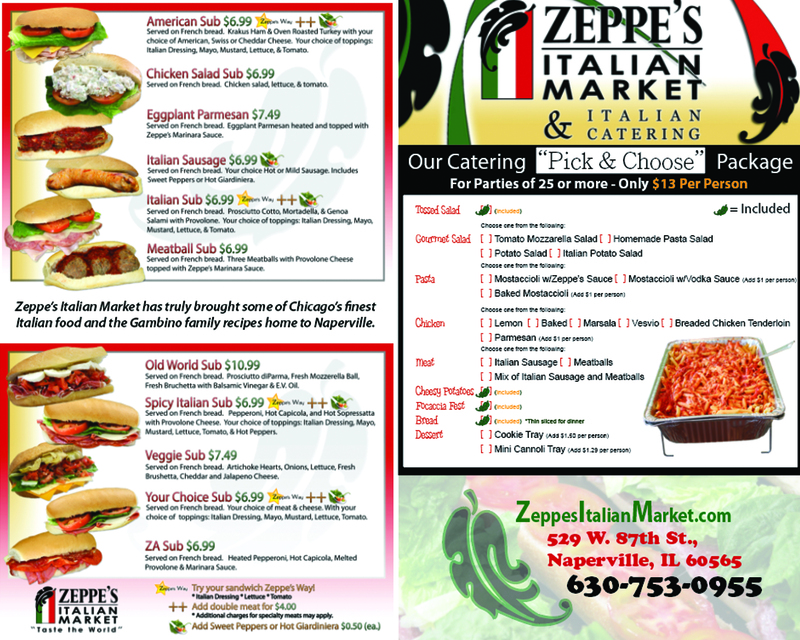 At Zeppe’s we slice every single ingredient for every sandwich or deli order, right after you order it. Nothing is pre-sliced or pre-packaged. I also believe in fair prices, grocery stores have to put items on sale to be similar in price to our full line of available deli meats and cheeses. We carry fresh bakery, bread, salads and a selection of my very own homemade sauces and Giardiniera. 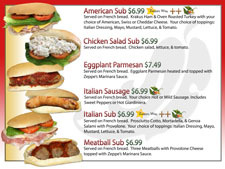 Choose from our freshly sliced hot and cold Sub sandwiches, or create your own. We put a 1/3 pound of meat on each deli sandwich. 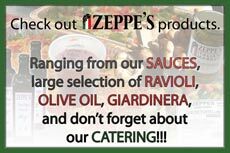 We also have a full assortment of unique, and specialty Italian grocery items and ingredients as well as frozen pastas, fresh to bake pastas (Take & Bake! ), and pre-cooked dishes (Grab & Go!). 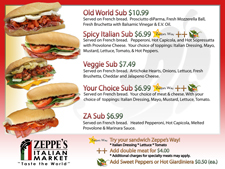 Naperville Zeppe's location is celebrating 10 years! 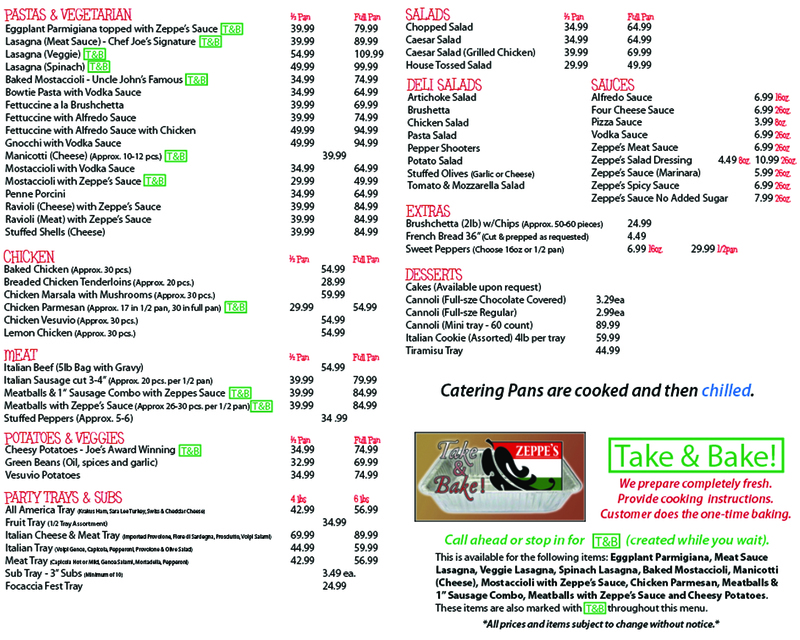 Come by and visit and enjoy the great food, catering and customer service.